We don’t usually cover Jersey here at 6sqft, but this inspiring adaptive reuse project was too good to pass up. Inhabitat NYC reports that a newly approved development, The Whitechapel Projects, will be converting an old industrial warehouse in Long Beach into a paradise for all things sustainable, artistic and foodie (read: super hip). 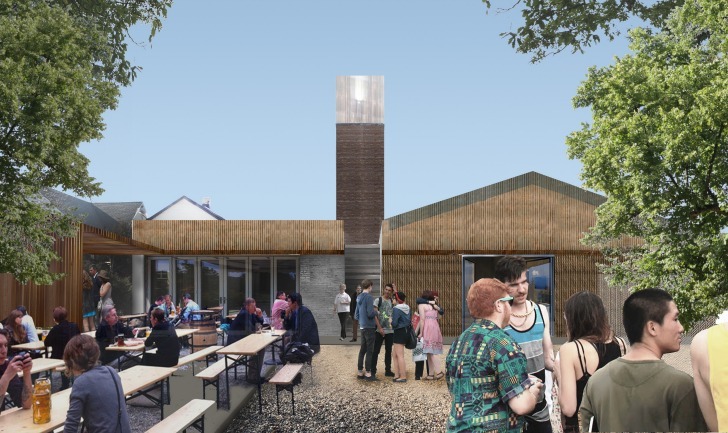 The new project plans to feature “the artisan crafts of nanobrewing, house made cuisine, and emerging art and music in an engaging seaside environment.” See? Didn’t that sound pretty darn cool; and what exactly is nanobrewing?